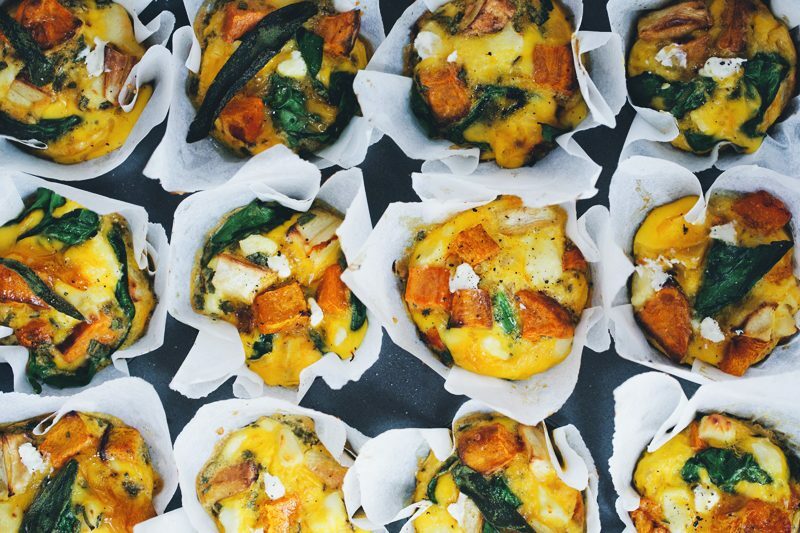 Before we start this post we would like to throw a million kisses at all of you that voted in the Saveur Food Blog Awards. Miraculously we won the Best Special Diet category! We know that we have you guys to thank for that. So, THANK YOU for voting on us, for reading our stories and trying our recipes. Our small family won this big award on the other side of the globe. I still can’t believe it. Some of you might remember that we were in Mexico a while back. We meant to take photos and do a proper travel post. But once we were there, David decided to leave the camera in his bag. I suppose we all needed some time off. Instead we used our phones for random documentation of our adventures. 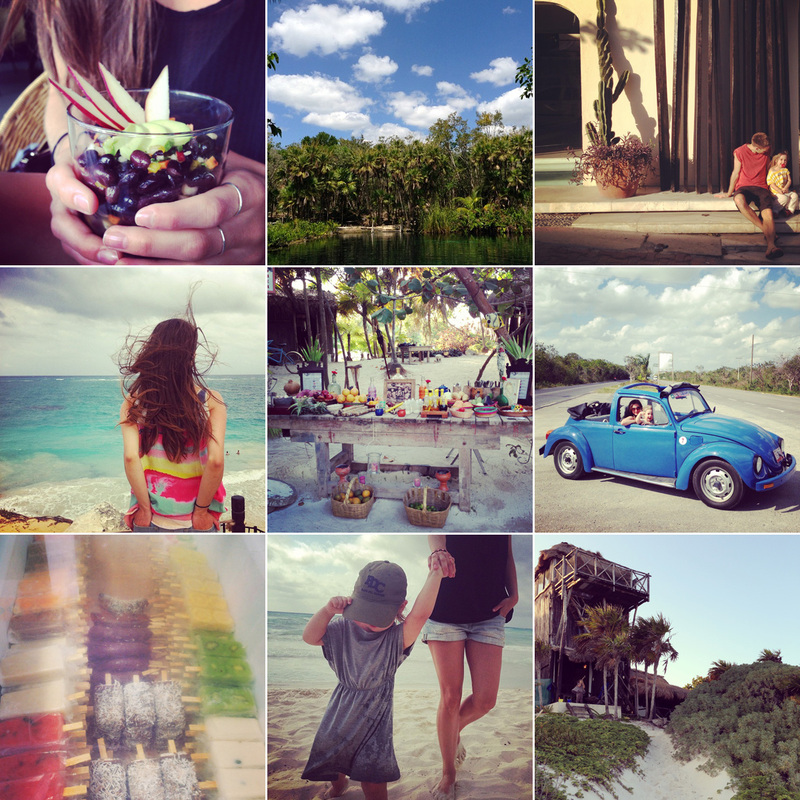 We have included a few shots from mine and David’s Instagram. And, if you scroll down we also share our favorite drink from the trip. On our journey we tried so much wonderful Mexican food. Guacamole, ceviche, paletas, tacos and beans to mention a few. 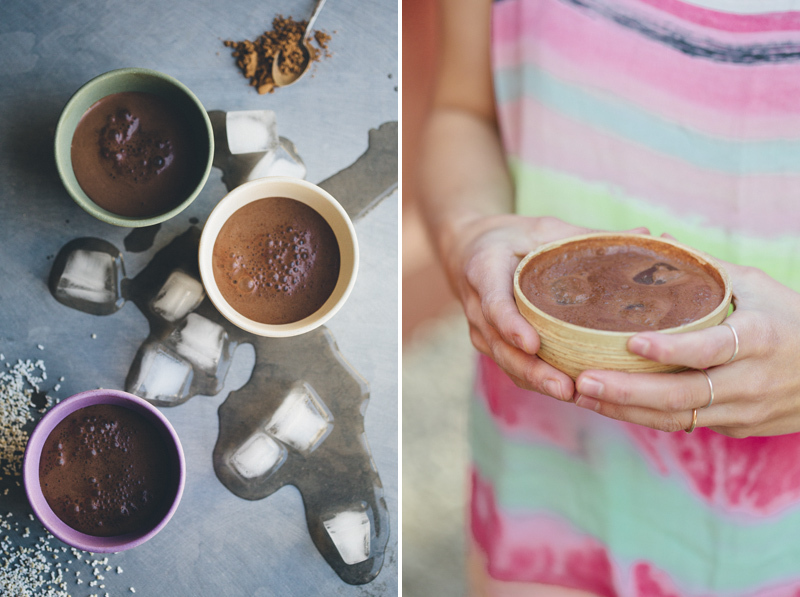 But one of our most rememberable food experiences was this amazing Chocolate, Rice & Amaranth drink that we had on a tiny restaurant somewhere along the Yucatan coastline. Once we got back to Sweden we decided to recreate it. This might not be exactly what we drank there, but from what we can remember it is pretty close. It’s cool and fresh, with a hint of sweetness from the rice milk and cinnamon, softness from amaranth and bitterness from the cacao. 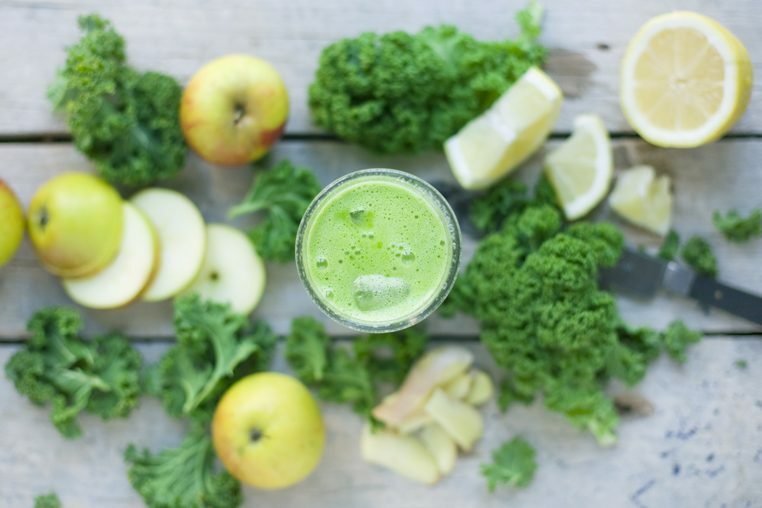 It is super simple to make and the perfect drink on warm days or as a quick energy boost. Amaranth is a gluten free seed from Central America. It is even smaller than quinoa, but slightly higher in protein and has nearly all 9 essential amino acids. Perfect cooked as a breakfast cereal or served along other foods for lunch and dinner instead of pasta, rice or potatoes. You can buy puffed amaranth or amaranth flour in well-assorted supermarkets or in health food stores. Place all ingredients in a blender and mix on high speed until smooth. 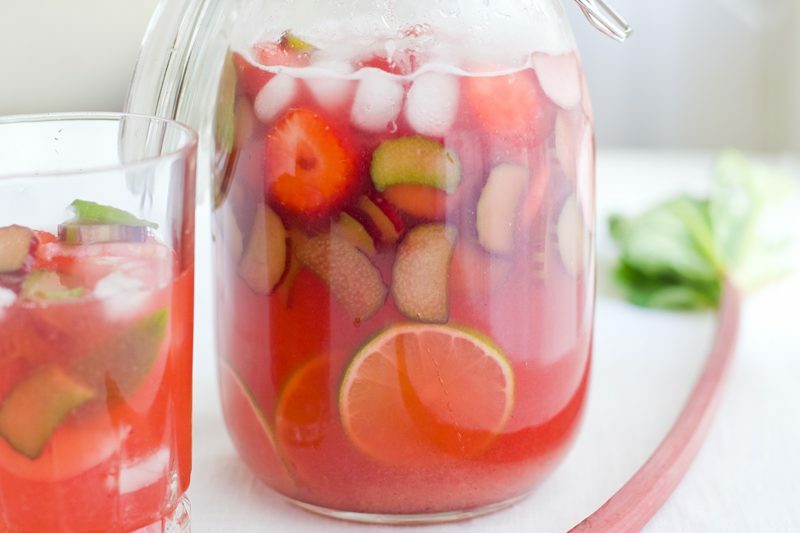 Pour into two bowls or large glasses. Sprinkle with some puffed amaranth and serve. 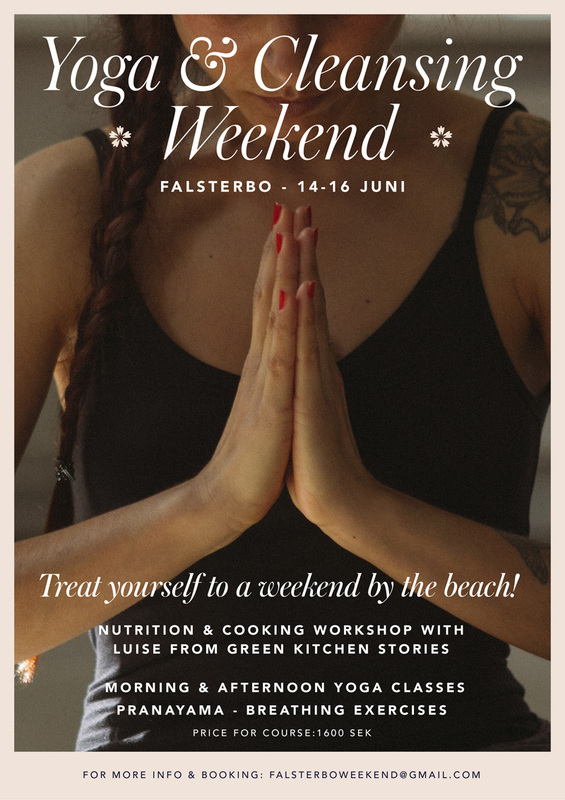 I will be teaching a Nutrition & Cooking Workshop this summer as a part of a Yoga & Cleansing Weekend in Falsterbo, southern Sweden. The workshop will take place in a beautiful yoga studio in a villa near the beach and close to accommodation and cafés. See the flyer for more info and send an email for the full program and booking details. Hope to see you there! Good news comes in threes, right? A well-deserved congratulations for your new book, the award and the upcoming workshop!!! Too bad I don't leave nearby, otherwise I'll would have signed up right away since I've been practicing yoga for 17 years and love cooking. Your cacao rice and amaranth looks amazing, I'll have to make it for our "Cinco de Mayo" celebration next week. What do you think this drink would be like hot instead of cold (using soy milk instead of rice milk)? Oh congratulations!! That's so wonderful, although not surprising :) Proper Mexican food is one of the number one things I miss having around in London. I was looking forward to a barrage of photos, but I completely understand that liberation of leaving the camera in its bag. Looks like an amazing trip anyhow! Greetings! Fascinating you enjoyed Amaranto. Just wanted to share some facts with you about this wonderful seed: Amaranthus Caudatus: is from the Andes. Ornamental in nature. • Amaranthus Cruentus: is from Mexico and Central America. edible. • Amaranthus Hipochondriacus: Central Mexico, edible. Originally, Amaranto is from Central *Guatemala* AND Northamerica *Mexico is a part of North America), and South America *Peru and Ecuador. ¿De dónde es originario el amaranto? Together with maiz, beans and chia, amaranth was one of the principal products for nutrition for the precolombian cultures of America. For the Mayas, Aztecas and Incas, amaranth was their principal source of protein, as it was eaten as a vegetable and grain *cereal*. It was also used in many of their religious ceremonies. The Spanish, with the Conquest, wanted to exterminate the amaranth because it was used in idol worship, mixing the blood of the victims with the grain, and so on and so forth. Lucky for Mexico, amaranth was unirradicable! I just made that drink with puffed canihua (kaniwa) instead of puffed amaranth and it tastes great! Congratulations on winning the award! Great looking drink... just bought your book today and there are loads of great drinks in it... sometimes hard to find non-alcohlic drinks that are as complex as a good cocktail! Hello, I just found out how to puff amaranth at home. I was wondering, does it actually get cooked in the process of puffing? Or does it stay kind of raw? Thanks! I love amaranth! It is native to Peru, though it has a long history in Mexico. Most people in Lima do not eat amaranth nor quinoa, if you can believe that! Thank you for sharing the lovely recipe and congratulations on the award! I am always torn between the desire to have photo records after a holiday or event, and the feeling at the time that I'm missing out on the moment by viewing it through a lens. Last time I went to a firework display I was amazed at how many people weren't watching it at all but just intent on their cameras/phones trying to get photos of it. Couldn't help but feel that they had completely missed the point! Seems like you worked out a good balance in th end then, enough photos to trigger happy memories while still allowing you to live in the moment! 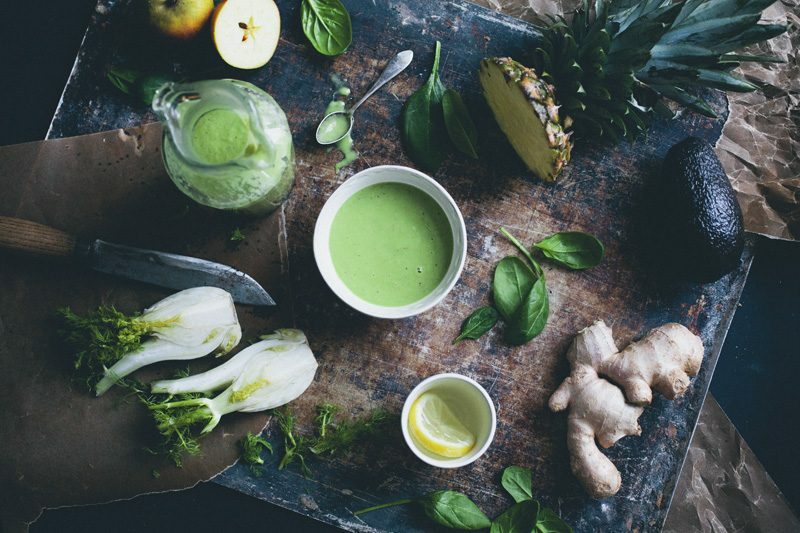 Yum, this looks beautiful! I was in Central America a couple of years ago and am still trying to perfect ceviche! Once I do I will post it on my new blog. Thanks for your inspiring photos and recipes and congratulations on the award! Bravo, You deserve this award! What's a delicious drink for an energetic's morning! Looks great! I would love to go to Mexico one day. And, congratulations on winning the award. Awesome work!